I had the opportunity to go to my first proper Farmer’s Market last weekend – and wow, did it ever live up to my expectations! Garlic, peppers of all kinds and assortments (stuffed poblanos, anyone? 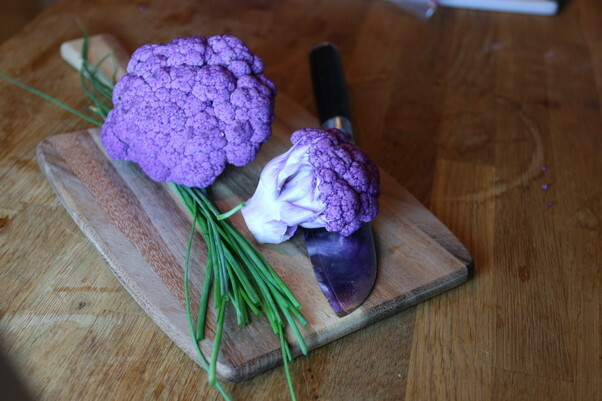 ), buffalo meat, eggs, sheep cheese, green beans, homemade soaps, fresh flowers, beautiful pumpkins, and… PURPLE CAULIFLOWER! I was super excited to find purple cauliflower as it’s just at the end of the season and I’ve been on a mission for it. We decided to pick up the purple cauliflower and had fun experimenting with it – did you know it turns water green when steamed? 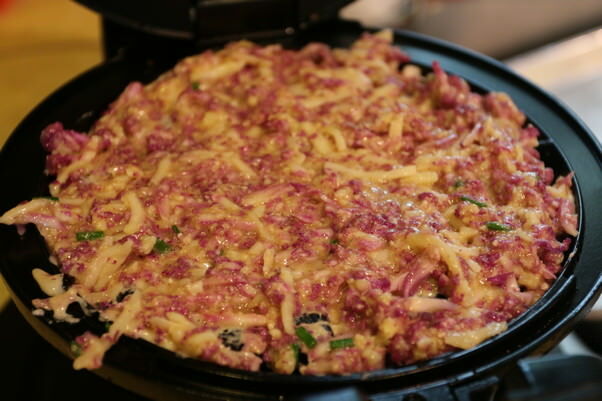 My girlfriend made for us one of her specialty dishes – cauliwaffles! 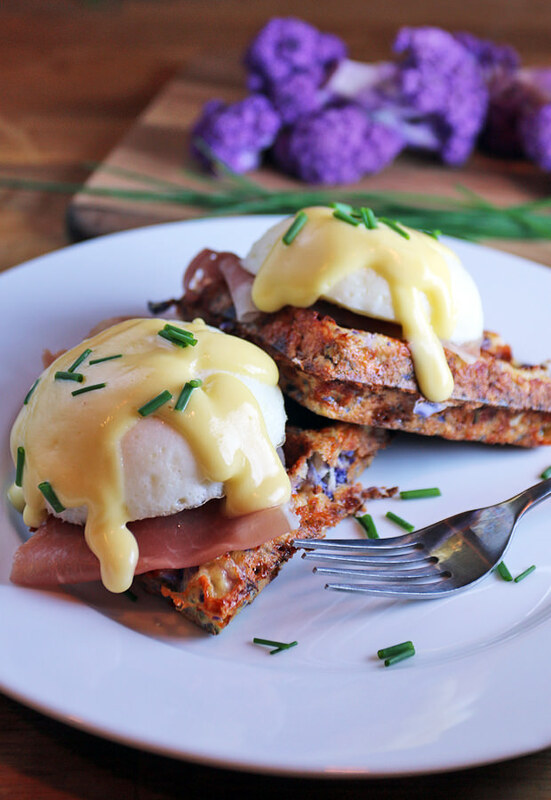 We had them two ways, the first breakfast was eggs benedict with prosciutto, poached eggs, and hollandaise sauce. The second morning was with a homemade smoked salmon dip – the waffles taste GREAT reheated in the oven, but are amazing cold too. Both dishes hit the spot on the cooler fall mornings we’re having now. These things are perfectly crisp and all the different flavors of cheeses come through with each and every bite. 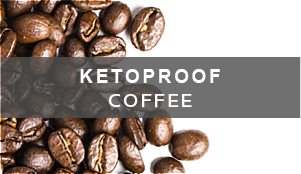 These are also pretty “oops” proof – you can put them in the pan and forget them for a bit, and they’ll still turn out great – even after leaving them in for 10+ minutes, I’ve never had a problem with them sticking. It really helps to have a belgian waffle maker that can flip because it helps distribute the heat evenly and cook it throughly when its upside down. On another note – it’s Ruled.me’s first birthday! 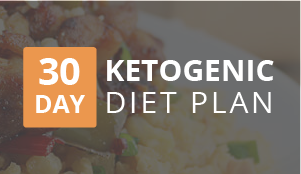 Yep, one full year of recipes, information, guides, meal plans, and advice. 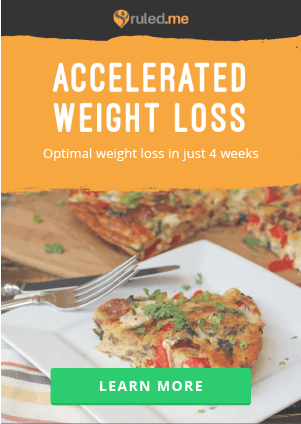 It’s been a real treat for me to help out so many people so I’m offering 25% off of all of the cookbooks and meal plans. 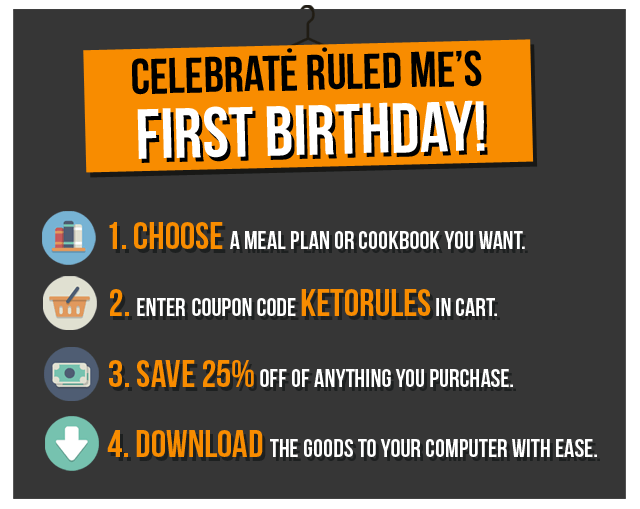 Just enter KETORULES in your cart and 25% will be deducted instantly from the price. 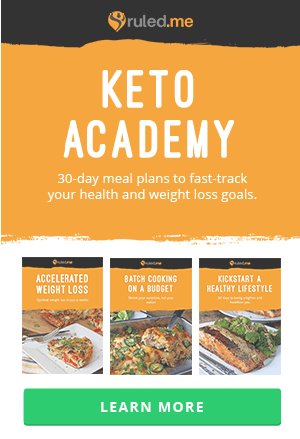 Wanted to get the Keto Academy? Here’s your chance! 1. Get your fresh cauliflower and chives ready. Break down the cauliflower into florets so that you can easily grate by hand or in a food processor (with grating attachment). 2. Grate cauliflower and cheese using your food processor, then remove the bowl from the base. 3. 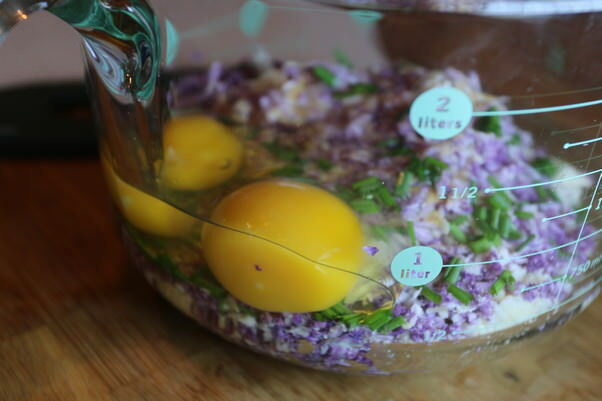 Add chopped chives, 3 eggs, and seasoning to taste. 4. Heat belgian style waffle maker and when ready spoon cauliflower mixture into the waffle maker. 5. 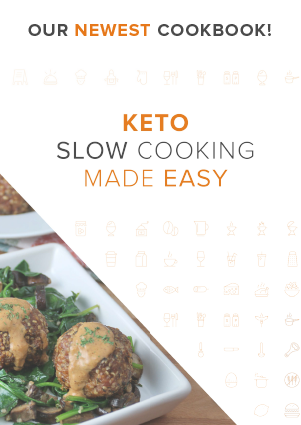 Let cook, flip, and cook on the other side. This is ~8-10 minutes. 7. 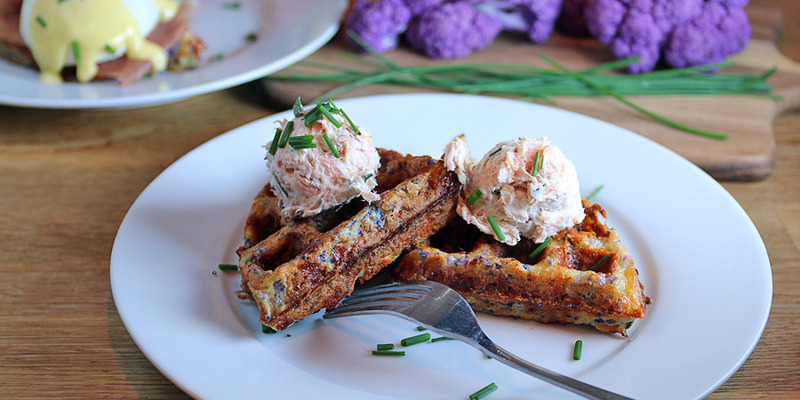 You can make your own salmon spread (recipe up top) to create a delicious smokey and herbed flavored waffle for breakfast. 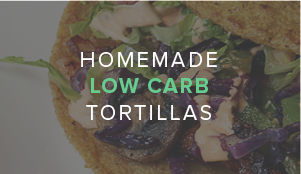 Both fantastic and delicious in their own ways. Enjoy! 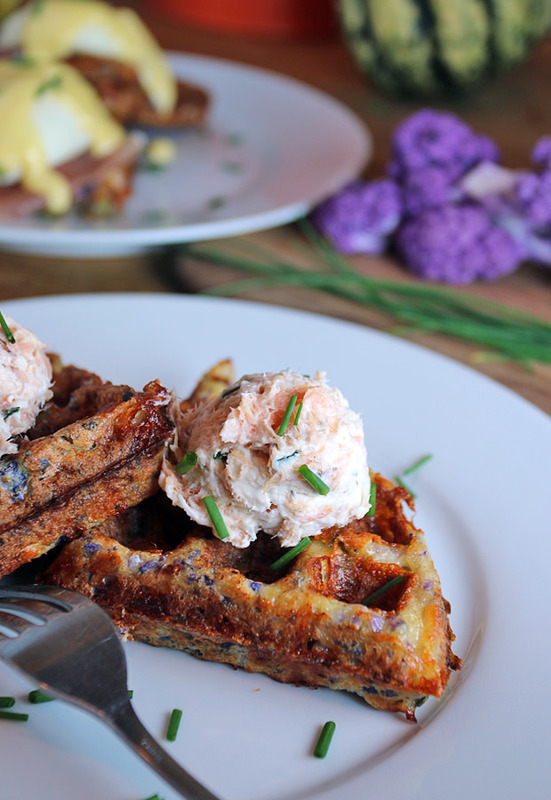 This makes 4 total servings of Cauliflower Breakfast Waffle. 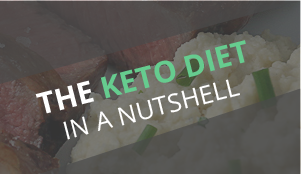 Per half waffle, the macros come out to be 181.5 Calories, 12.59g Fats, 2.86g Net Carbs, and 13.43g Protein. 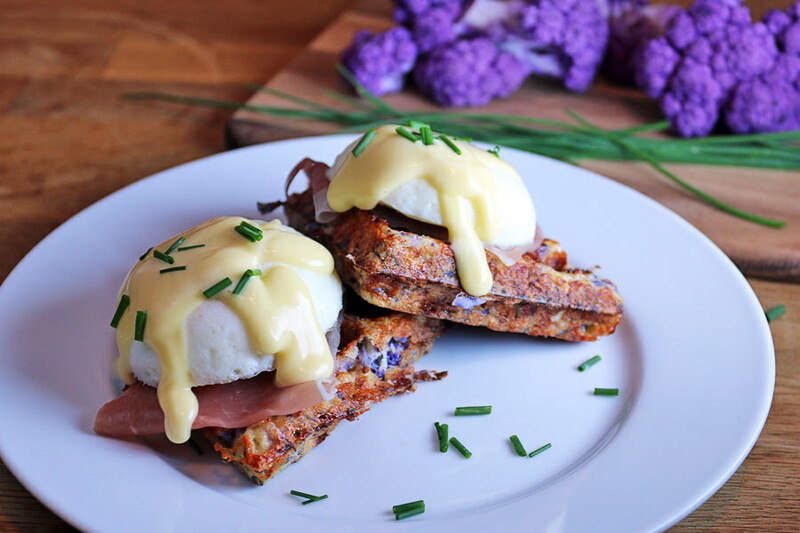 With the Eggs Benedict variation, the macros come out to be 634.5 Calories, 49.1g Fats, 4.58g Net Carbs, and 38.99g Protein per serving. With the Herbed Salmon Spread variation, the macros come out to be 345.5 Calories, 26.16g Fats, 5.16g Net Carbs, and 21.78g Protein per serving. 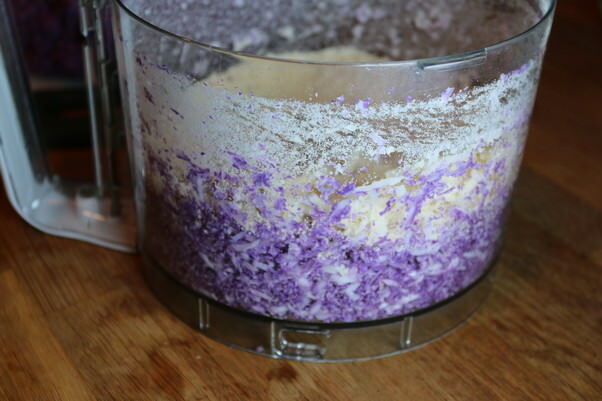 Chop cauliflower into florets and feed through grating attachment on food processor. Add cheese and grate using grating attachment on food processor. Add eggs and spices and mix together. 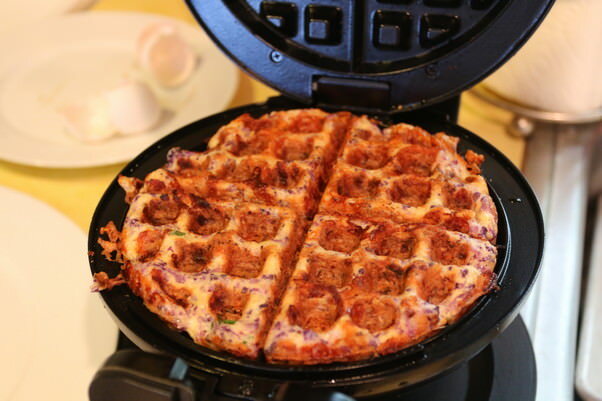 Spread half of the mixture into a belgian style waffle maker, cook and flip (~8-10 minutes). Remove from waffle maker and repeat with rest of mixture. Top with your choice of toppings.